Yesterday was our final bow. Although it’s always sad to end a show’s run, the night was filled with joy for me. I am so grateful for this experience and everyone we have come to know and love. Being here in Las Vegas these past two years marks an important time in my life; not only did I join one of the most talented companies I’ve ever worked with, but the community that supported my wife and I through the birth of our son will forever be appreciated. 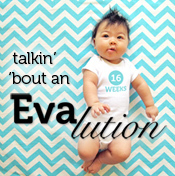 Max’s first babysitters were Theresa Nguyen and Lisa Swift (who are both coming on the road with us! ), and Nicholle Pendergraft and Alison Dingle had their own cubs Lucas and Harrison, who Max loves to play with. And we are forever indebted to Tracey Hammon-Hodge, who kept Ang company in the delivery room until I made it there post-show; she was witness to Max’s entrance to the world. As a standby, I was able to watch the final show, and I had a blast. It was as good as I have ever seen it. There was so much emotion and energy, and it was focused so nicely. I think final shows can be a bit messy sometimes because of all the emotion that comes with a closing, but this one was definitely not. It seemed as if everyone was trying to nail it one last time, and they did. I saw nuance and detail, and I saw boundless focused energy. It is an experience I won’t soon forget and I hope some of it rubs off on me the next time I’m performing in the show. Lastly, I will miss our cushy dressing room, which I shared with some classy guys over these past two years. We had a lot of fun! Veteran (and dare I say legendary?) 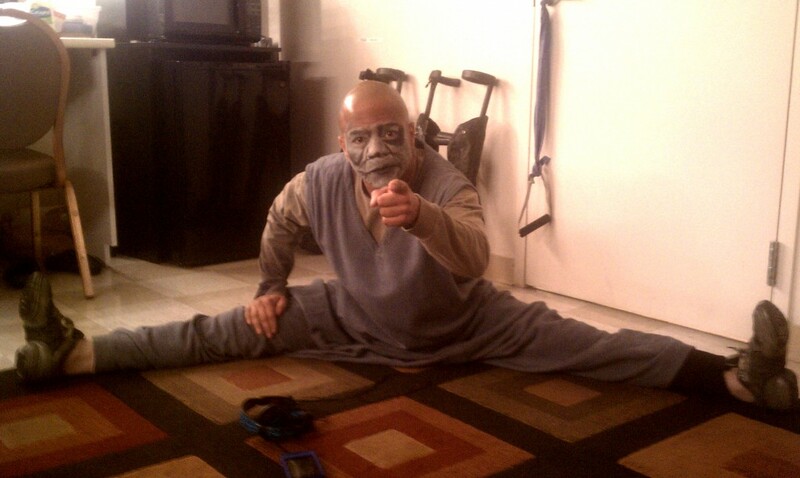 Broadway dancer Keith Bennett stretches out for his last Las Vegas performance as the hyena Banzai. We are so thrilled that he will be joining the National Tour with us too. We hope he'll teach Max how to tap! 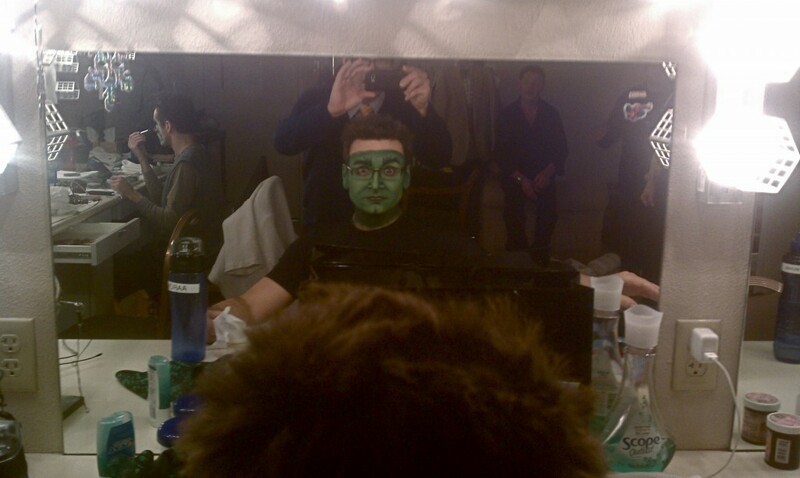 Robb Sapp applies makeup for a final turn as the hyena Ed. He is also an amazing photographer and wonderful person. Check out his Dirty Sugar Photography! 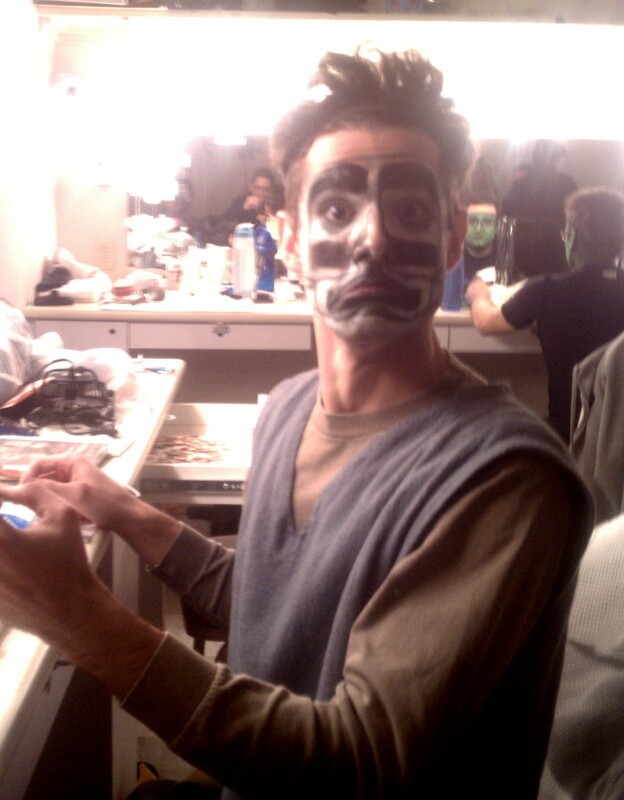 Aaron De Jesus is almost ready for his final performance as Timon. He's also a proud new father! Last look at the Mandalay Bay Theater house. The Lion King will have run for 31 months and 1,078 performances - the show's longest run in the United States outside of NYC. As the standby for Scar and Pumbaa, I have to be ready to go on at a moment's notice. 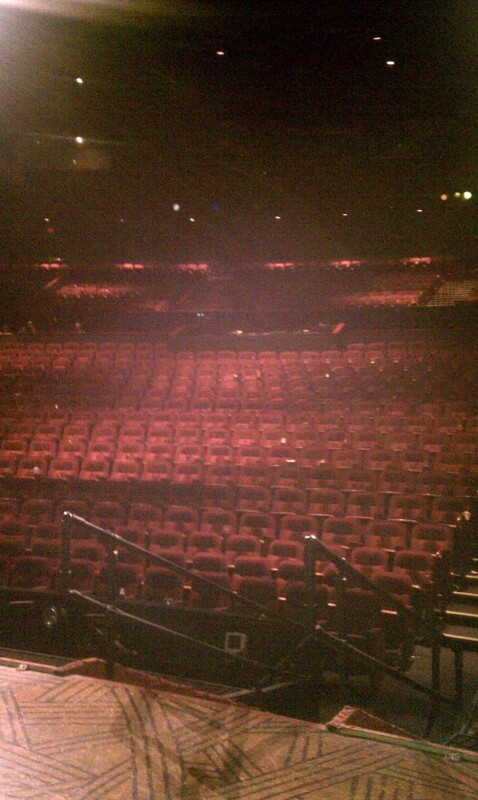 So although I don't perform every night, I have to be at the theatre. Luckily, our dressing room was super comfortable. 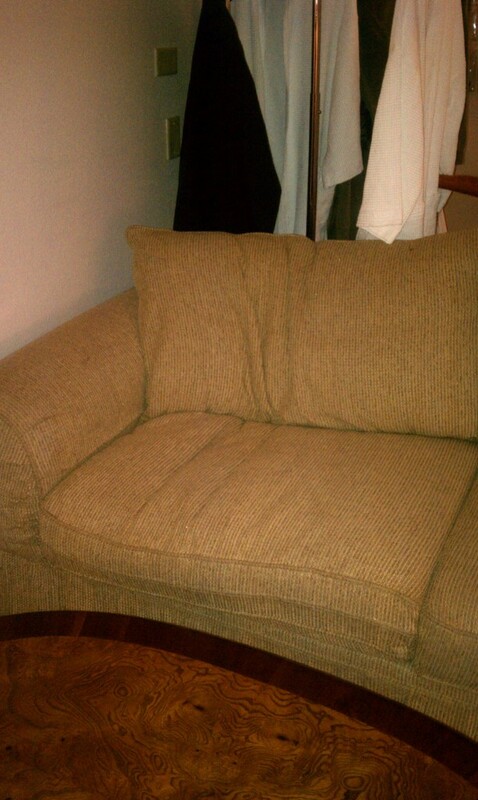 I had a couch on which I sat, napped, watched TV, read, and surfed the web. I left a nice dent in it over the course of two years.